Let me first confess how much I love Savage Worlds. I’ve been a huge fan of the mechanics from my first game (the Tour of Darkness setting) where I learned how deadly tossing grenades back at my opponents could be. What I love about the system is how malleable it is. With a few tweaks, you can lay out a 1940s pulp setting or a star-flung sci-fi one. There have been numerous releases for the engine over the years, giving players and game masters a wealth of material to mine. This release isn’t “new” as much as it is dressed in its Sunday Best. I’m going to focus on the changes for the purposes of this review rather than detail the entire work. The lavish artwork is generous throughout the book. Since the engine is designed for players to play damn near anything, the artwork is varied. There are multiple excellent action pieces and the character pieces have more hits than misses (I liked 34, 57, and 70 the best). 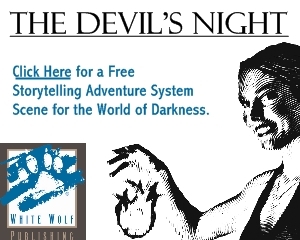 Much of the artwork is borrowed from other Savage Worlds’ releases either as a direct or inspired work. I liked seeing the under-appreciated Slipstream character types throughout the book. The layout is typical for these books, which is to say great. They have done this well since their first release and continue doing so. I particularly liked the pog-type pieces for the bestiary. 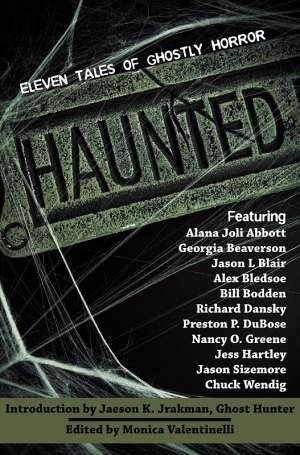 One thing about the book were advertisements within the book for their other lines. Yes, the artwork looked great for them, but I couldn’t see any reason why they needed to be thrown into the Introduction. The biggest thing about this version are the design notes. I love reading design notes. Chad Underkoffler did them well in his Zorcerer of Zo. White Wolf did them well in their Old School Player’s Guides. Here? Not so much. Most of the design notes were validation for choices of design, which is fine for wild decisions people may actually question. For example, suggesting cards for initiative is better than dice or offering a countdown as a means of generating tension. These topics really don’t call for discussion. This is an established line of games that many feel strongly about (go to any gaming convention and see). There were tons of things that could have been approached as a design note rather than what was given. Savage Worlds runs the risk (because the core book is all about system) of reading like GURPS. In the past, I never felt that way. With this version, there were hints of it. There were five one-sheet adventures to get players accustomed to the rules (many settings/some specific looks at rules), but they felt a bit uninspired. 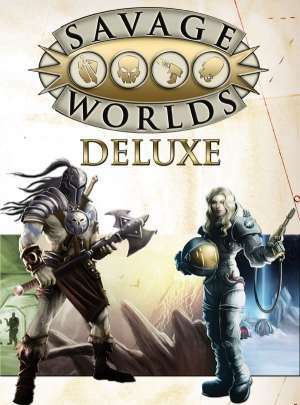 At the end of it all, throwing the word “deluxe” at the end of the last version of Savage Worlds doesn’t mean much if the extra bits add too little. Don’t get me wrong. I love this engine and, if you want to try it out for the first time, you’ll be thrilled with this release. On the other hand, if you’ve been playing it since its release, this version has less appeal. For that reason, I can’t really grade this game as I normally do. I’ll just leave it as a great game for the new player who wants to try something different without getting too bogged down by meaningless mechanics. It’s an excellent “pick-up” system and has been since its conception. I just wish the writing shared that excitement. Couldn’t agree more. The SW rules system is the best thing out there. I’ve played out ridiculously complicated combats involving people, squads of spear-carriers, vehicles, explosions, buildings…etc etc in under an hour. That being said, this edition wasn’t what I’d hoped for. I’m going to disagree with you both. I’m a Savage Worlds newbie, I admit, but I do like the system (so far we’re all in accord I think). “Deluxe” implies to me ‘with the icing on’, and in this respect SWD does deliver. It’s not SW-II, it’s SW 1.1, Savage Worlds with a couple of tweaks to fix bugs, and in that respect it works. For me.